Is Tesla Still Racing Against Nvidia in Autonomous Driving? Tesla's head of Autopilot is gone. Does that take it out of the race against Nvidia? Tesla Inc. (TSLA - Get Report) has been considered a leader in the autonomous driving movement. At least from the standpoint of a tangible product that's already on the road. The automaker first introduced Autopilot back in October 2014 and after a strenuous effort, has made it clear that it's not a full self-driving feature (yet), but rather a driver-assist feature. Meaning that Tesla expects its drivers to pay attention to the road and keep their hands on the steering wheel. Right now, Autopilot is considered a level 2 autonomous driving feature (here are the rest of the levels). The equipment that currently powers Tesla's self-driving platform is made by Nvidia Corporation (NVDA - Get Report) , a holding in Jim Cramer's Action Alerts PLUS Charitable Trust Portfolio. However, in the past, Tesla had made it clear that it wants to build its own chips to power its self-driving ambitions. That's why it hired Jim Keller two years ago from Advanced Micro Device, Inc. (AMD - Get Report) . Before that, Keller played a significant role behind developing the A4 and A5 processors for Apple Inc. (AAPL - Get Report) . He was serving as a Tesla VP and a leader in its Autopilot program. Keller's last day working with the automaker was Tuesday, becoming just another key departure for the automaker this year. Pete Bannon will take over Autopilot's hardware program while Andrej Karpathy will be in charge of Autopilot software. Why the automaker felt it should build its own hardware for autonomous driving purposes is still beyond me. While current products weren't tailor-made for Tesla, they were still pretty darn good. Particularly Nvidia's products. 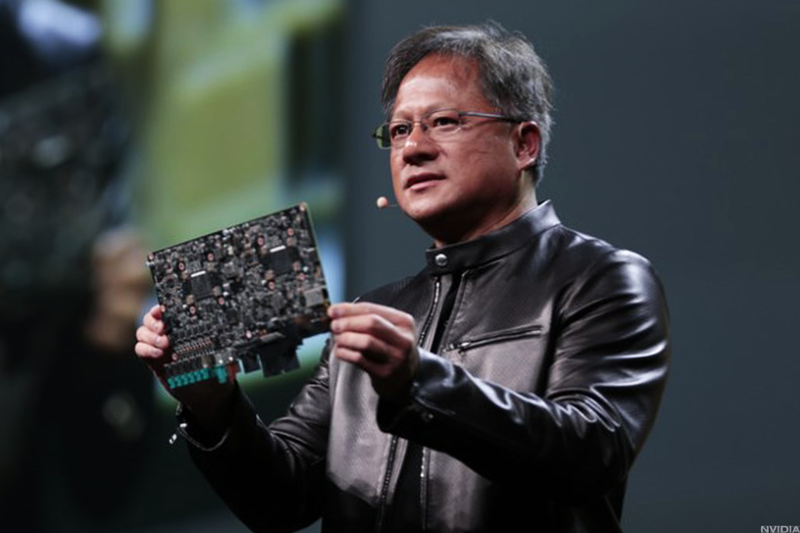 When listening to presentations by Nvidia founder and CEO Jensen Huang, it's clear how much effort the company pours into its products. It's also clear how much money it pours into its R&D efforts to make those products. At the moment, Tesla isn't exactly flush with cash. The production struggles it faces with the Model 3 only highlight the financial strain the company's going through and even though CEO Elon Musk is predicting profitability and positive cash flow in Q3 and Q4, it's not clear the automaker will get there. In fact, it seems like quite the long shot. It doesn't help that Tesla is carrying about $11 billion in debt and is generating negative free cash flow at the moment. Its recent hiring spree on the production line will likely weigh on the company's gross margins and while it may be necessary to hit production targets, it won't help its finances. So where does this leave Tesla? It's hard to tell what it will do now. Keller's absence doesn't automatically mean the company will abandon its efforts to produce its own chips, but it's still not entirely clear why it would push forward. It will cost hundreds of millions of dollars and possibly billions over a longer time frame to develop these chips. Does Tesla think it has something the rest of the industry doesn't? That's the only reason I can think that they would continue on. Like the production line, perhaps it's best for Tesla to throw in the towel and admit it was making a mistake. To be clear, I'm not saying pressing the envelope and seeing if it can produce something better is a bad idea. I just don't think sinking huge financial resources into the project is a good idea, particularly when Tesla is short on money as it is and Nvidia makes virtually everything needed to create a robust self-driving ecosystem. A + B + C = D; sell it for E and come out with a profit of F.
On paper it's simple and in reality, it is admittedly more difficult -- no one said making a car is easy. But there's no reason for Tesla to make it more difficult. An auto consultant pro recently did a Model 3 teardown. He loved the car, but thought Tesla went about building it all wrong. Had it used a manufacturing contractor, the automaker could have crushed its competition with the Model 3, "mopped the floor with everybody." It's the same with autonomous driving hardware. Nvidia makes the best of the best and Tesla can use it to build the best of the best when it comes to the self-driving software. That's exactly what it should do and stop trying to beat Nvidia at its own game. It won't work. And even if it does, it's not clear that it will be worth the time or the money involved.